Food allergies are common in the U.S.—so common that this week is dedicated to Food Allergy Awareness. For most folks, allergies are usually of the milder kind. Yes, they’re annoying and yes, they cause unwanted symptoms—but these allergies are not life threatening. For those who have an anaphylactic reaction to an allergen, life can be a whole lot more complicated (and dangerous). Most serious food-allergic reactions happen due to exposure to a small list of potentially life-threatening foods. 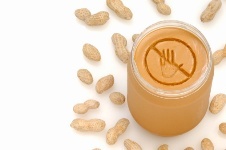 Peanut, tree nuts, shellfish, soy, wheat, milk, fish, and egg are the top allergens that account for 90% of all food-allergic reactions, according to the Food Allergy Research and Education (FARE) website. But what about the other 10% of allergies? Are there foods that you should be careful about giving to your young grandchildren? According to FARE, food allergens have been steadily on the rise over the past decade but medical science has no clear idea why this is happening. Even though children seem most susceptible to food-allergic reactions (children under the age of 18 account for 300,000 ambulatory visits per year related to food allergies), these reactions can crop up at any time and at any age. In order to better monitor any allergies that you might develop, make sure you’re aware of these nine less common allergens that could cause you trouble: meat, corn, spices, seeds, fruits, and vegetables, latex, insect stings, and medications. Let’s take a moment to focus on this last category. Medications can become a seemingly inevitable part of life as you age. The body’s systems have to work harder while at the same time they are losing their youthful efficiency. Most medical experts chalk this up to inflammation and oxidative damage which affects the body with increasing intensity throughout the senior years. Medication can help to offset the health problems associated with aging, but make sure that you aren’t having allergic reactions to any of your meds. FARE recommends that the best way to distinguish between allergic reactions and symptoms caused by other health-related problems is to keep a diary. Write down any symptoms you experience after taking a medication. According to the National Institutes of Health, reacting adversely to drugs is a common occurrence. But not all of these reactions will fall under the “serious” category. A true drug allergy, the NIH explains, is triggered by a series of specific steps inside your body. When you first take a medication, your immune system kicks in and releases an antibody called IgE. The next time you take that medication, IgE communicates with your white blood cells and tells them to release histamine. When too much histamine floods your body, allergy symptoms are the result. Which drugs are most likely to cause allergic reactions? Watch out for penicillin and other antibiotics. Diabetics should take note of any problems when taking insulin derived from animal sources. X-ray dyes containing iodine are also high on the list when it comes to triggering allergic reactions. And finally, both anticonvulsants (used to treat seizures) and sulfa drugs (used to treat bacterial infections) commonly cause allergic symptoms. Food allergies are a common occurrence—but the top allergens usually get the most exposure. That’s why you need to be aware of other common allergens to protect yourself—and your family. This Food Allergy Awareness Week make sure you’re informed and educated on food allergies so you can live a healthier life! “Facts and Statistics,” Food Allergy Research and Education web site; www.foodallergy.org, last accessed May 6, 2013. “Drug Allergies,” National Institutes of Health web site; http://www.nlm.nih.gov/medlineplus/ency/article/000819.htm, last accessed May 7, 2013.